Tahuna Haven apartment is ideally suited for couples or friends as you can relax on the patio while watching the evening sunset. The Styx seafood restaurant, Harbour Light Bistro and Smugglers, Sands, and Sprig and Fern pubs are a few minutes away by car. There is on street parking and easy access up a short driveway to the apartment and we are in a very quiet street with good neighbours. There is a very comfortable Queen bed in the bedroom with an ensuite bathroom, and two King single beds in the living room. The apartment stays fairly warm in winter but extra blankets and a heater are provided. The kitchen is fully equipped with a microwave, a pizza oven and crockery and cutlery. A selection of teas and coffee, milk and homemade muesli and fresh fruit are provided for your breakfast. There is access to the laundry in the main house and an airing rack and ironing board and iron. A hairdryer and body wash is available in the bathroom. We are a relaxed couple who love travelling, meeting new people and playing music. I am a musician who enjoys travelling and meeting people from other countries. We are a relaxed couple who love living in the Nelson region because of the cultural events and the access to the three national parks in the area. We love our property as it is in such a fabulous location with stunning views across the sea to the mountains, and it is in a lovely neighbourhood. The apartment is completely separate from the rest of the house and enjoys wonderful views from the living room and the patio. The house is very attractive and planted with native plants to attract the birds. A lovely apartment with fabulous view over the water. Very well equipped and comfortable. Lots of tourist information and maps provided. Lucy and Bill are very friendly and helpful hosts. We highly recommend Tahuna Haven. Thanks so much for your positive review Nancy (and for making friends with Oscar). It was lovely to meet you both and and to share some stories over a glass of wine. Hope you enjoy the rest of your South Island adventures ! Amazing views from the beautiful suite! We really enjoyed staying here! The suite was beautiful and was equipped with everything we needed. Lucy and Bill were great hosts and helped us with our plans and made good suggestions. We would love to stay here again! Apartment is lovely, modern and spacious with everything you need (even some delicious homemade muesli and strawberries for breakfast - yum), bed VERY comfortable. The view over the bay to the hills absolutely stunning, and just loved the glorious sunsets, with a very peaceful setting. Some really neat walkways within minutes stroll. The area is very upmarket with some beautiful homes, felt really safe walking round. Lucy and her husband just so friendly and helpful (especially when we had mechanical issues, thankyou so much), just wonderful to meet them, and would love to stay again when next in Nelson. A lovely and tidy apartment with great views of the beach. A lovely and tidy apartment with great views of the beach and the mountains in the background. The apartment has all the items needed to stay comfortably including comfy bed and all kitchen appliances. It is located on the hill and not far from all the cities amenities. The host provided us with fruit and muesli for breakfast which was greatly appreciated. 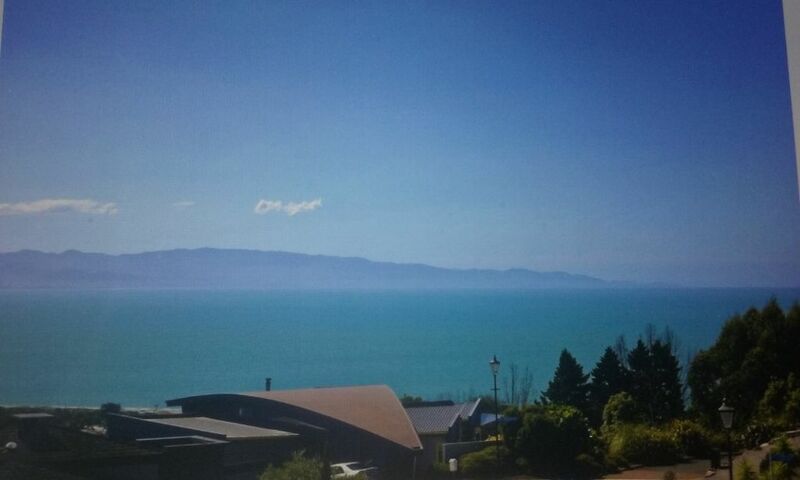 Overall we highly recommend this apartment for those looking to stay in Nelson. In sun or rain, I could sit on the couch and have a great view of Nelson Harbour and as far out as Rabbit Island. While this rental does require a car and a drive up from the city, the view and comfort are worth it. Probably best for a short stay as it has a small fridge and limited cooking options - microwave, toaster oven, electric frypan. Hosts were very welcoming in many ways which made travelling solo so much more enjoyable.